In July, Massachusetts birders enjoyed another month of unusual sightings. Here are five of the most exciting of these observations as suggested by our experts. A bird of tropical and subtropical oceans, the bridled tern is similar in size to our common tern, but is stouter and has striking black and white facial markings. Outside of the breeding period it spends most of its time over the open ocean, hovering over the surface and dipping its beak into the water to snag fish and other small sea creatures. 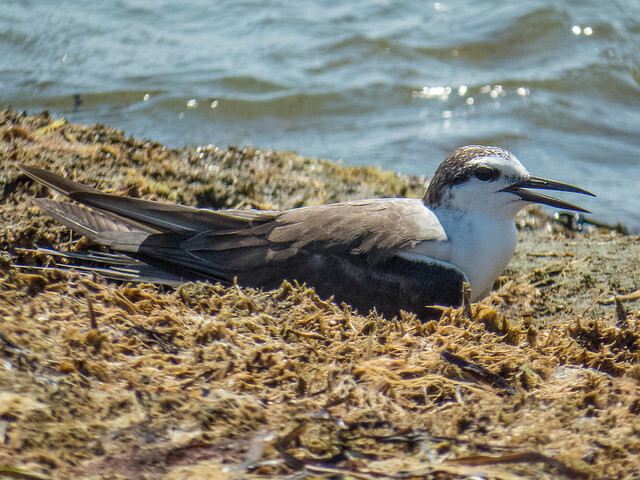 A bridled tern was sighted in Nantucket in July. A ruff observed on Plum Island last month was a long way from home: the species is native to parts of Europe, Asia, and Africa, breeding in the north and overwintering in the south. Though female and non-breeding male ruffs have an unremarkable appearance, during the breeding season the males display large feathery “ruffs” and battle vigorously for dominance on special display areas called leks. The species’ scientific name means “pugnacious lover of battle”. 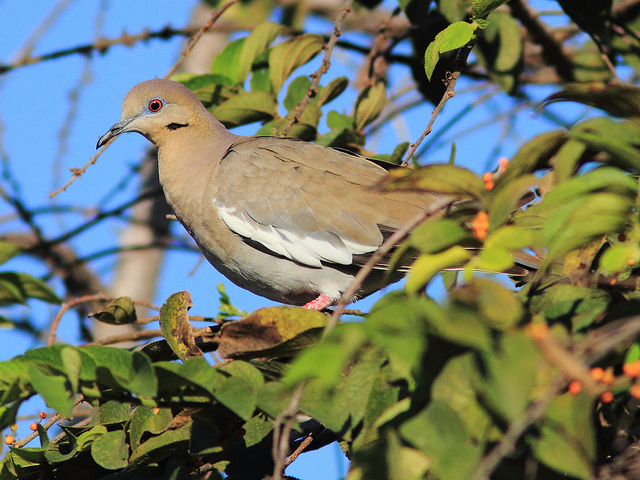 This species looks somewhat like a mourning dove, but it has a chunkier body and a tail that is square rather than pointed. Though primarily a species of southern deserts, it is equally comfortable in suburban areas and frequently wanders quite far. Through the years its range has been gradually expanding northward; it often takes advantage of backyard feeders. One bird was briefly observed in Newburyport. This relatively rare seabird was named for Italian artist and zoologist Leonardo Fea, and its name is pronounced FAY-ah. It is a member of the tubenose order of birds (Procellariformes), and like other members of this group has the ability to excrete excess salt through tubes on its bill from special salt glands located above of its eyes. 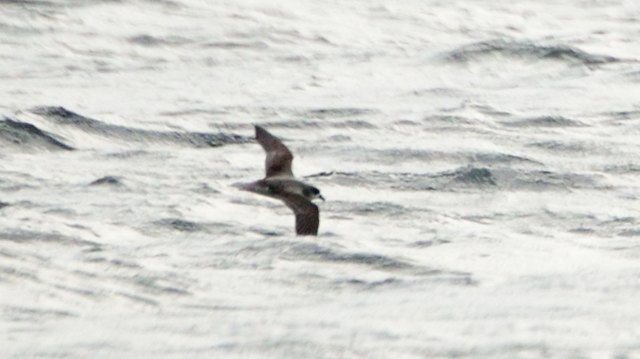 This petrel breeds on just a few islands in the Eastern Atlantic. When not nesting, it spends all of its time at sea. One bird was spotted over Stellwagen Bank National Marine Sanctuary—only the second record ever in Massachusetts and one of very few for North America! 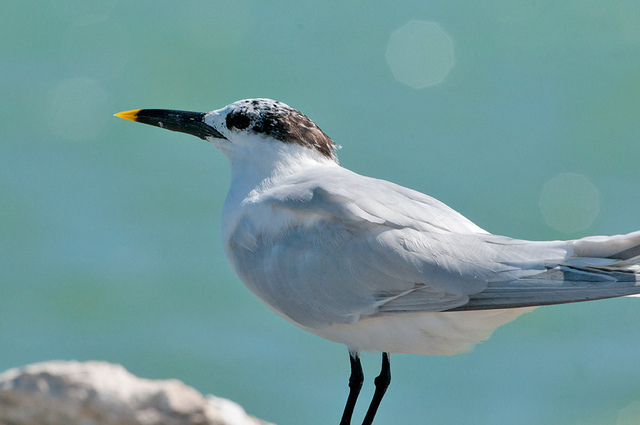 It’s easy to remember what a sandwich tern looks like: its beak has a yellow tip, which gives it the appearance of having been dipped in mustard. Juveniles may lack the yellow marking—perhaps they haven’t yet developed a taste for Dijon? The species is native to the southeastern US and the coasts of Central and South America. 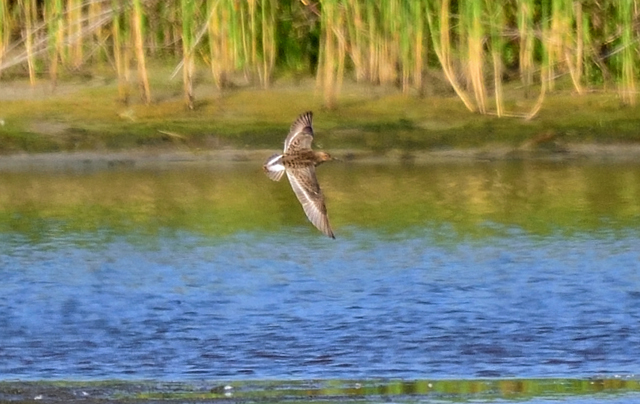 However, one wandered north to Nauset Marsh in Eastham this past month. This entry was posted in Nature Notes and tagged bird sightings, birds, last month in birding on August 18, 2015 by Rosemary.